Please Note: Pyramid Silver Shimmer Inks are a 3-5 day delivery time. 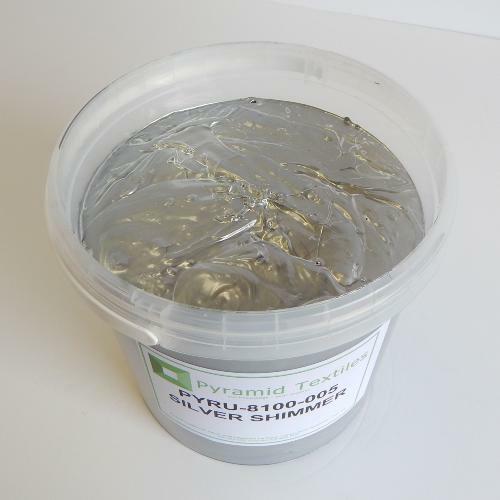 Silver Shimmer, is a phalate free plastisol textile ink belonging to the high quality range of plastisols produced by Pyramid. It has been specially formulated to obtain a semi-gloss silver shimmer effect when printed. It is applied directly over clear and dark fabrics.